Photo: Join me for my upcoming book signing & launch! EXCITING NEWS: In exactly 2 weeks, Nov 2nd, over at Big Island BookBuyers, I’m finally going to release the 1st in my new #TrueHawaii series about community, sustainability, and my life-changing adventure on the Big Island. And I’ll be giving away 2 free ebooks when you stop by! Once again a HUGE mahalo to all of my early readers! You are angels 👼 (You know who you are.) And most of you who live on the island surely know who Catarina is (whose review is featured in this image); I am SO grateful to have such a wonderful review from a local business owner! 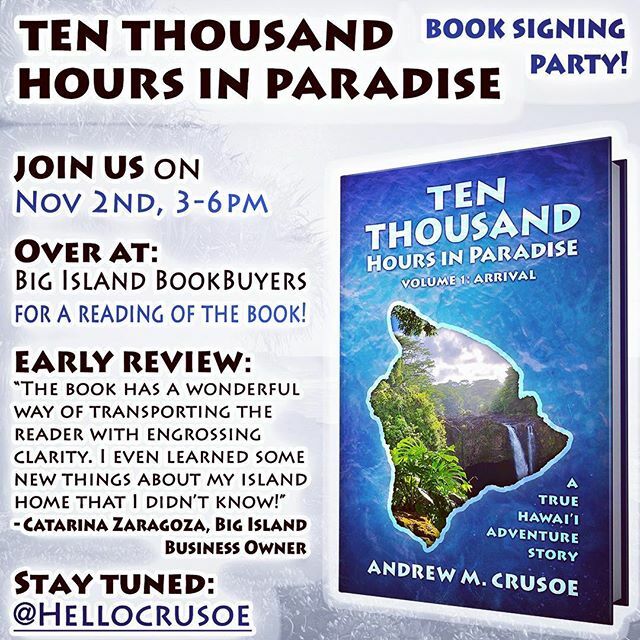 So stop by, say Aloha, and get your 2 free ebooks, November 2nd from 3-6pm at #BigIslandBookBuyers here in Hilo, Hawaii!